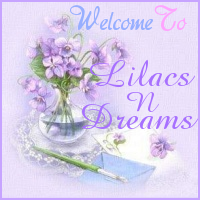 Welcome back to New Blog for LilacsNDreams everyone! Always glad to see you, and visit with all of you. I want to apologize for any inconvenience this has been to anyone with the old blog shutting down unexpectedly, and getting this new one up fast for ya'll to come too. I appreciate the kindness, and understanding during this time. 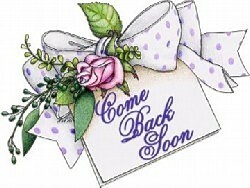 As we know this week is just a lil bit off for me...LOL:) I am not doing regular posts for this week. I have been backtracking to find some of those, or get them retrieved some how if I can to help put them back into this new blog for everyone. They are nice reminders of some things, and are great to have as reference a little bit too. Please visit the pages, and see what has been done so far. Keep an eye out as some of it might still change yet too. Just trying to do a standard structure from what was there before. 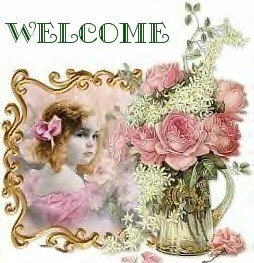 Hi Shirley, and glad to see you back! :) Thanks for your kind words as always. Getting my other blog back right now is not looking promising, and is quite upsetting as I am not completely sure what happened to have it deleted/disabled/not found, or whatever other excuse gets used. 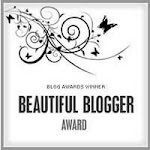 So, I will keep working with this blog, and building it. Just hate starting over, but hopefully things can go smoother for me the second time with it too. I did find one place that I can retrieve some of my old posts that I had shared here that were informational, learning and informative for some too. I have been making notes preparing for postings that I hope to start working with this next week. Hand hurts from writing, but trying to get all the p's and q's in order to go forward too. Thanks again for visiting Shirley, and enjoy work tomorrow. Your weather sounds like some we have had here along with tornados about 25 minutes from here, winds, rains, and just been a great weekend, and the way the week started...LOL:) Take care my Missouri Friend, and see you when you can visit.